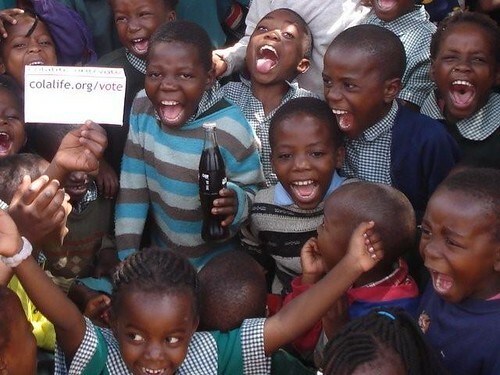 You are here: Home / Coca-Cola Campaign / An AidPod Made in Zambia! shrieking with laughter so I thought it was a good one. a little funding from the Catholic Secretariat which took the pressure off a bit. If you want another pikkie with a crate I can try again. Thanks Ali! You’ve made my day! How could Coca-Cola possibly say ‘No’?